Dozens of members of the UK’s House of Commons and House of Lords met with members of the Anglo-Iranian communities on Tuesday to celebrate the Persian New Year at an event in the Parliament. While there, the MPs and Peers from almost all political parties expressed their condolences to the bereaved families in Shiraz and across Iran, who have suffered through devastating floods in recent weeks. 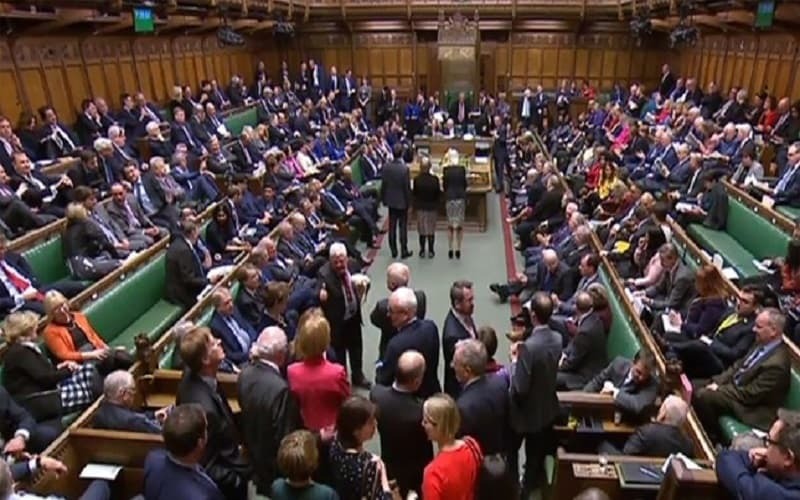 They also urged the UK government to condemn the Iranian Regime for its failed relief efforts, which have mainly been about sending in suppressive forces to quell protests about the lack of relief. They further stressed to the British government about the need to work with the European Union to end this vile crackdown in the flood-stricken areas. The parliamentarians noted that the Regime was at its weakest point, both domestically and internationally, which is why it is striking out at the Iranian Resistance movement through terrorist plots and a massive disinformation campaign. Other attendees included, Stephen Pound MP; Rt Hon Sir Roger Gale MP; Rt Hon Theresa Villiers MP, Former Secretary of State for Northern Ireland; Rt Hon John Spellar MP, Former Shadow Minister for Foreign and Commonwealth Affairs; Bob Blackman MP; Baroness Redfern; Rt Hon Lord Dholakia OBE DL, Co-Deputy Leader of the Liberal Democrat Peers; Lord Singh of Wimbledon CBE; Lord Maginnis of Drumglass; Lord Clarke of Hampstead CBE; Malcolm Fowler, Former Member of the Human Rights Committee of the Law Society of England and Wales; Hossein Abedini, the NCRI Foreign Affairs Committee; Rt Hon Stephen Timms MP; Dr David Drew MP; Afzal Khan MP; Andy McDonald MP; Faisal Rashid MP; Eleanor Smith MP; and Jack Lopresti MP.